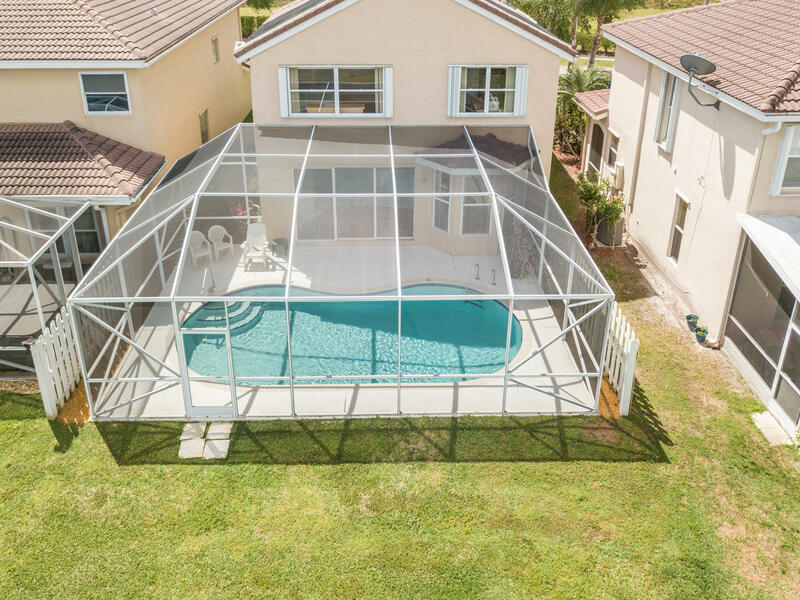 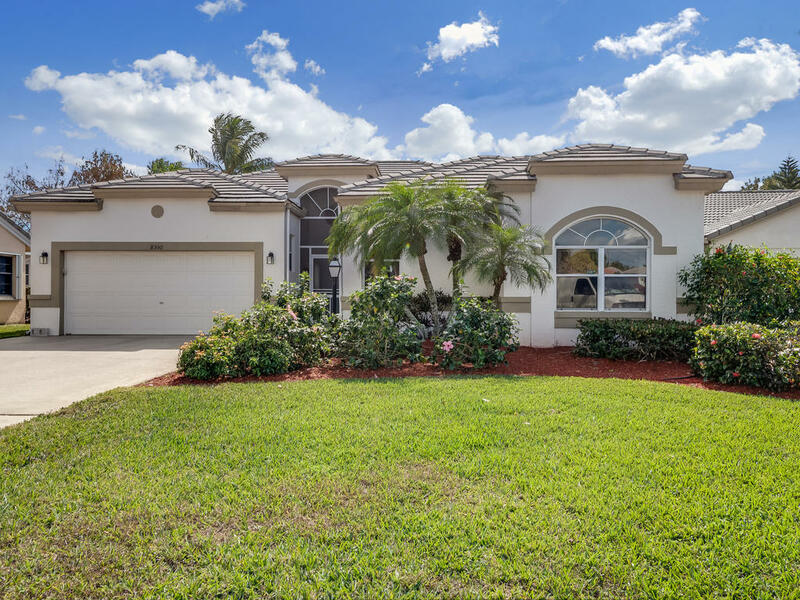 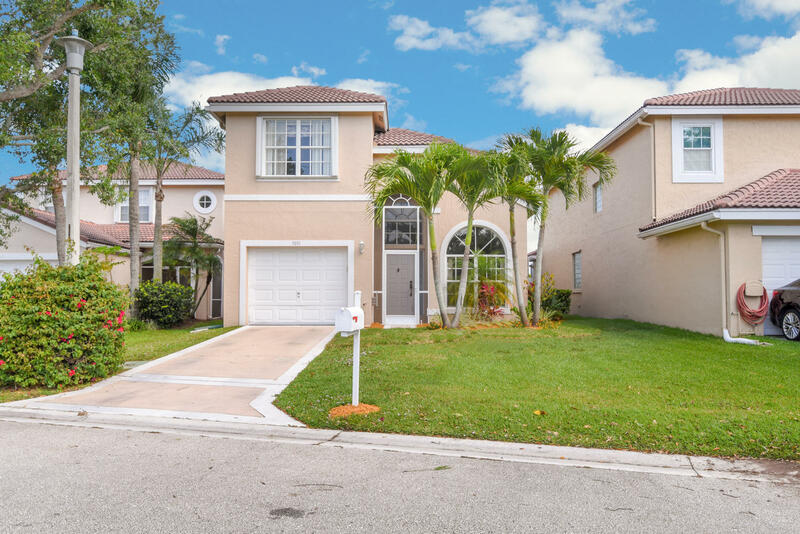 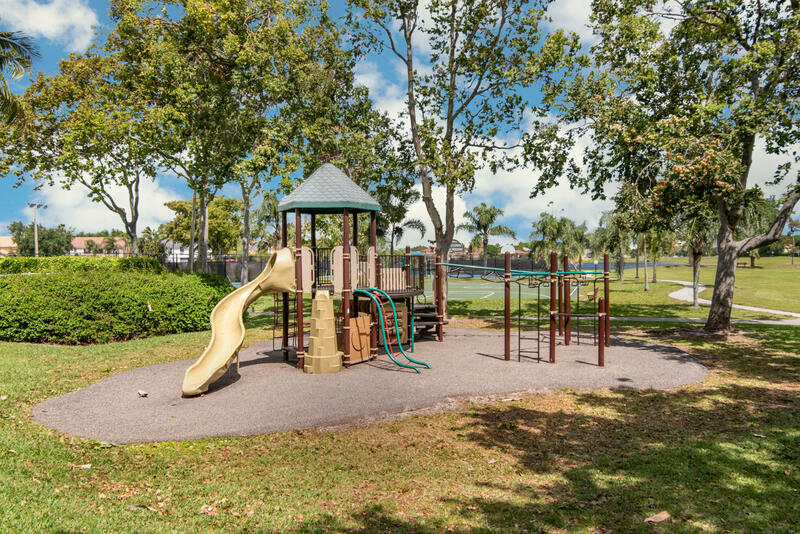 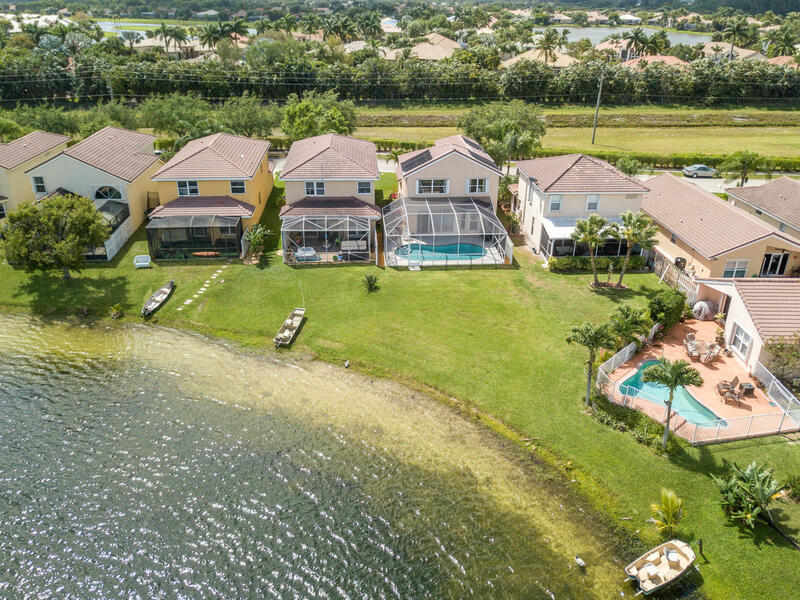 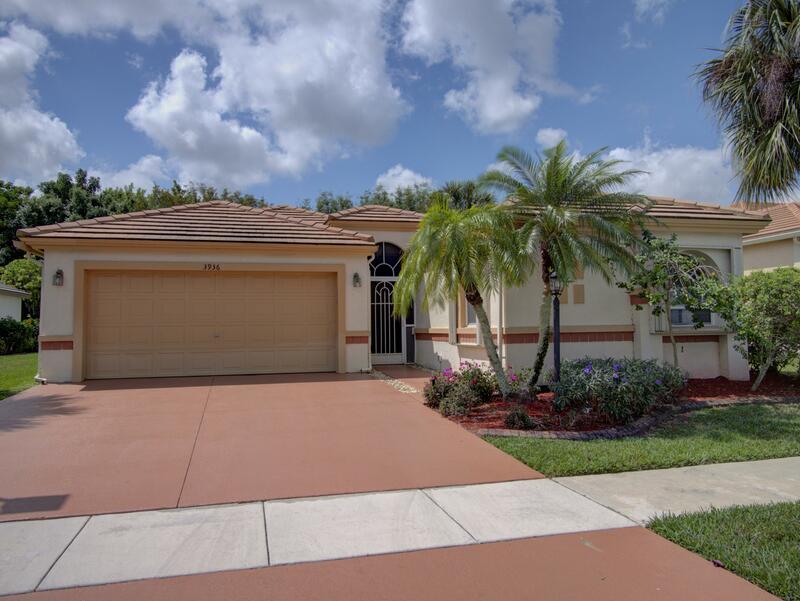 Beautiful lakefront, pool home located in a well maintained community and excellent school zone! 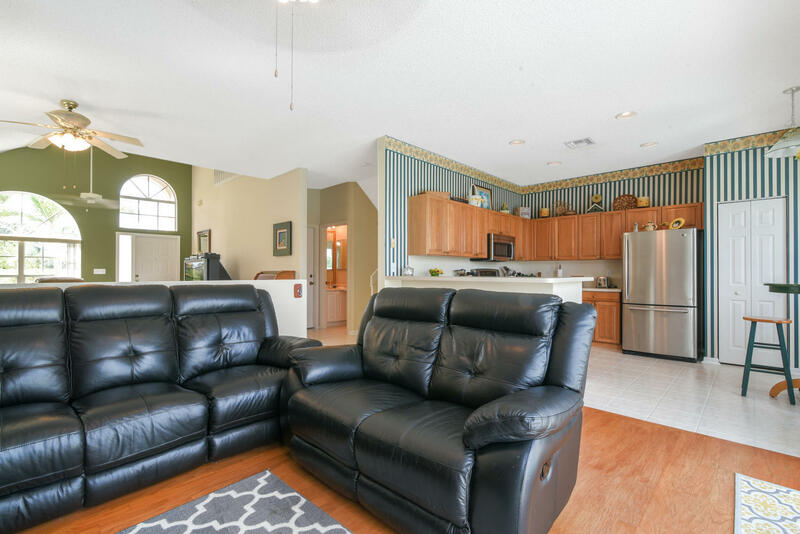 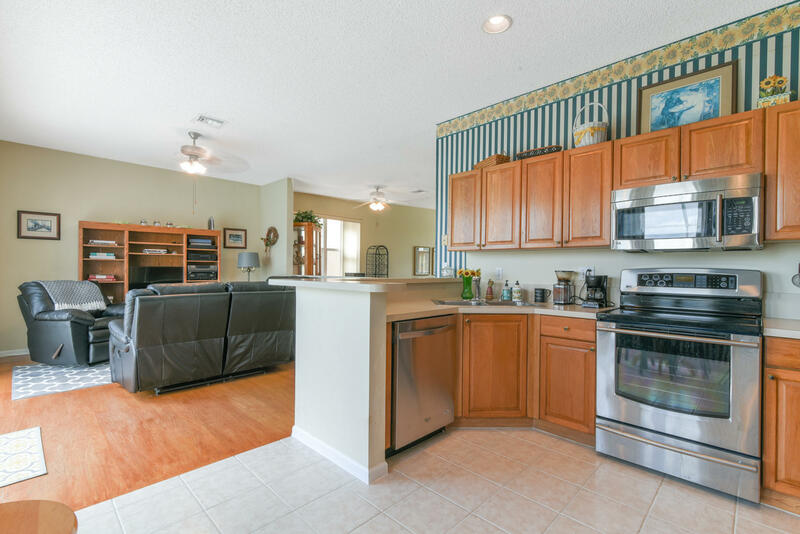 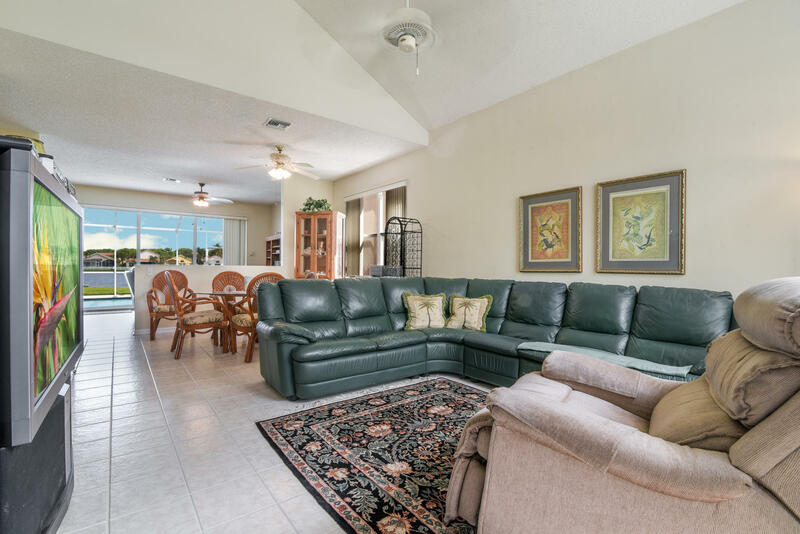 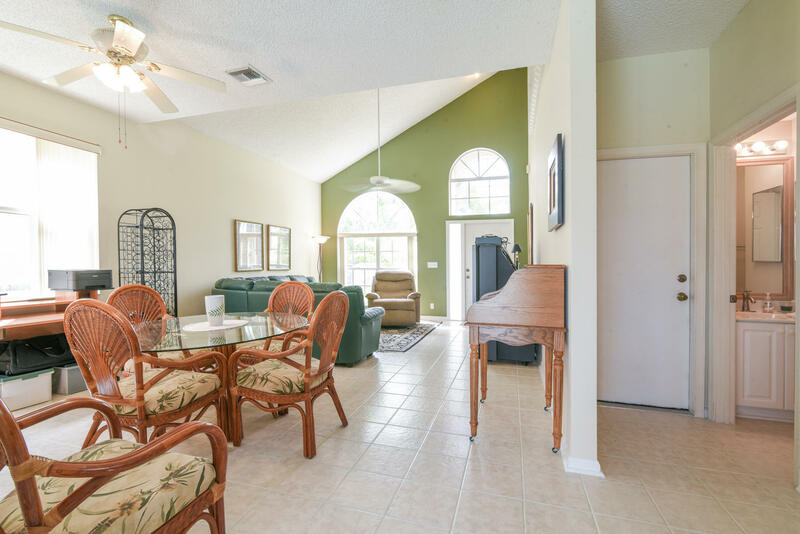 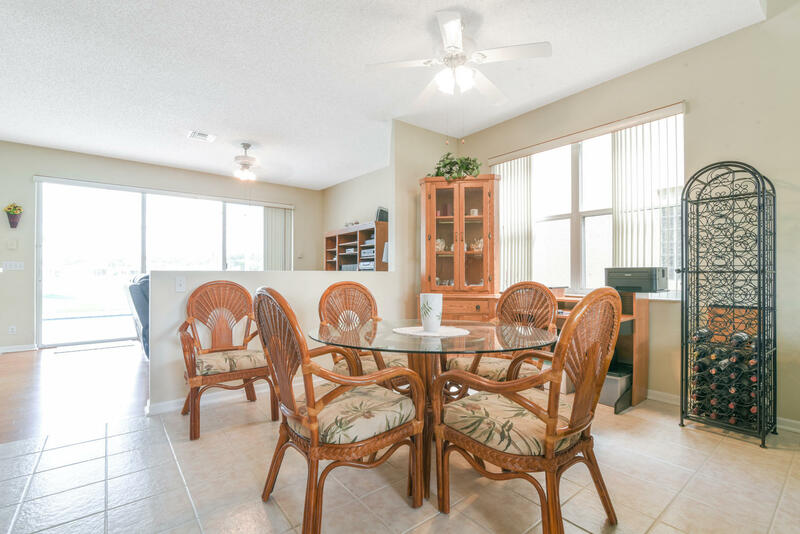 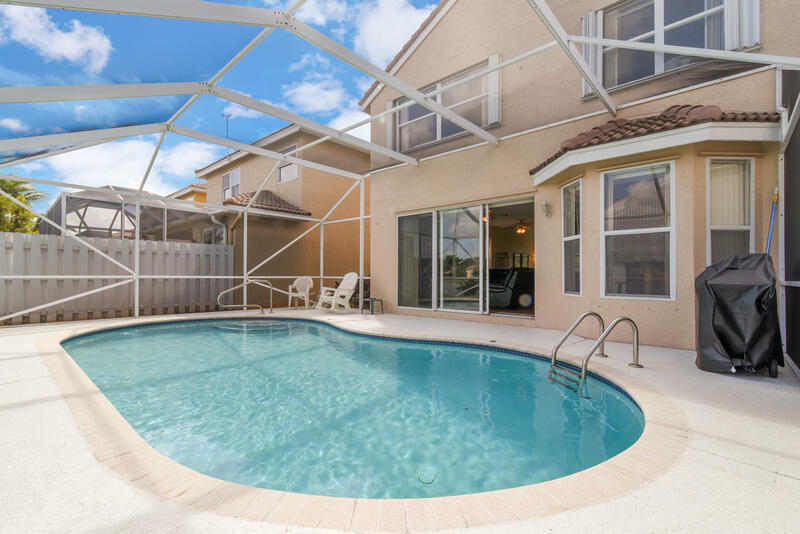 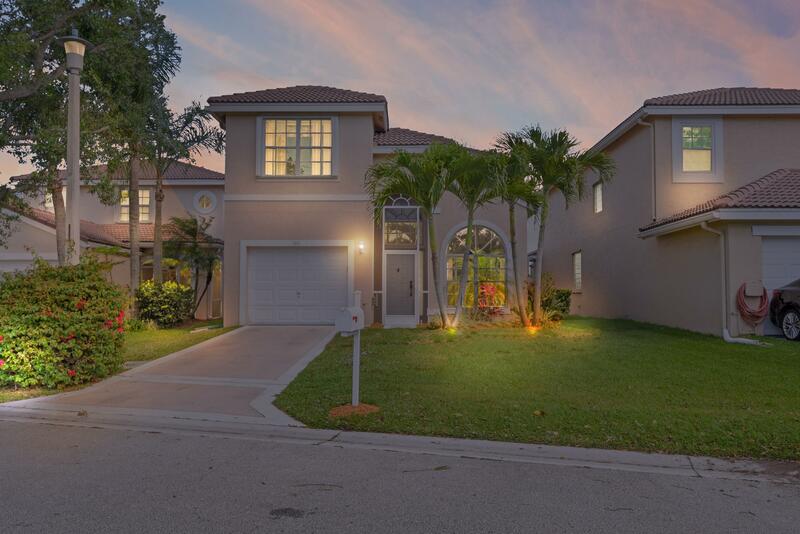 Step inside the living room, dining room, family room and kitchen with tile floors throughout. 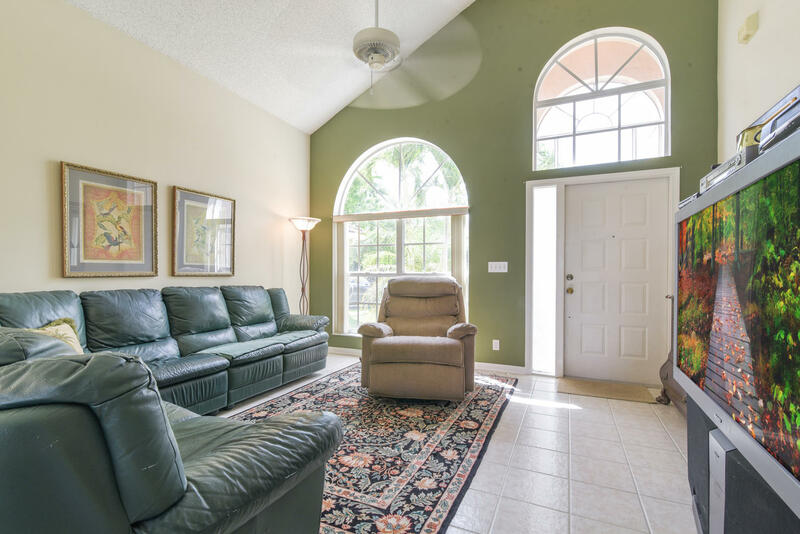 The family room has real wood floors. 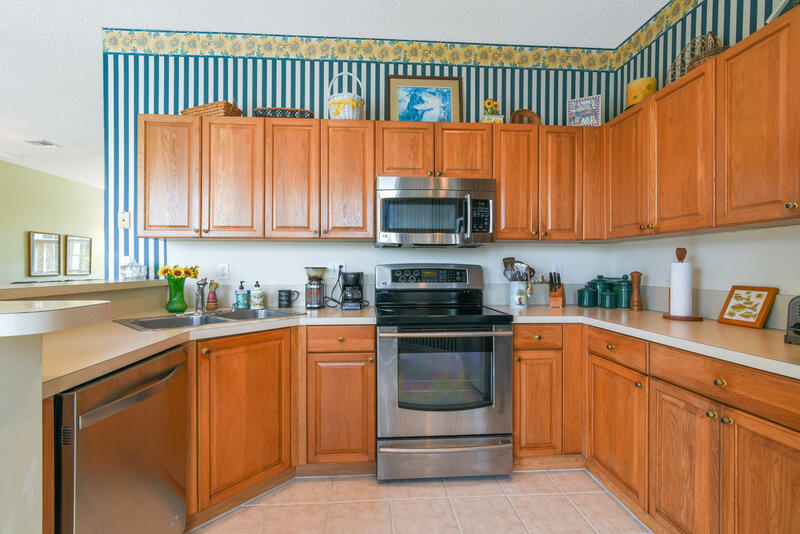 The kitchen boasts real wood cabinets and stainless steal appliances. 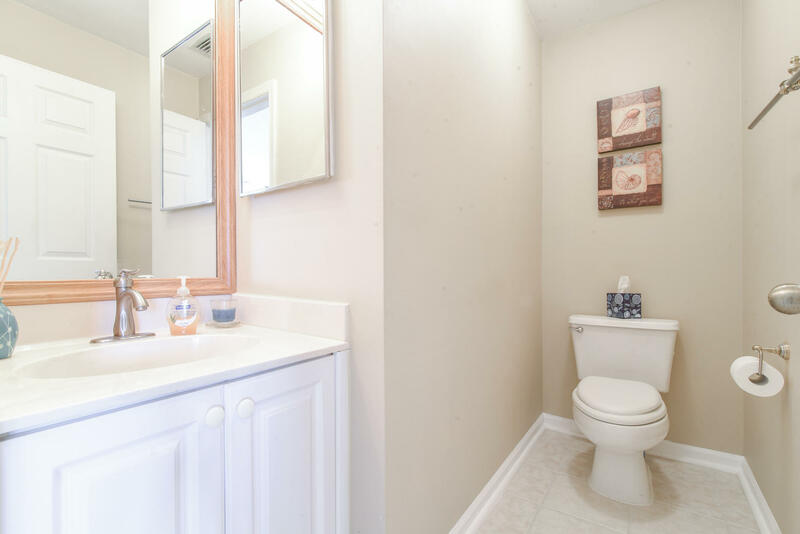 Half bath on the main floor. 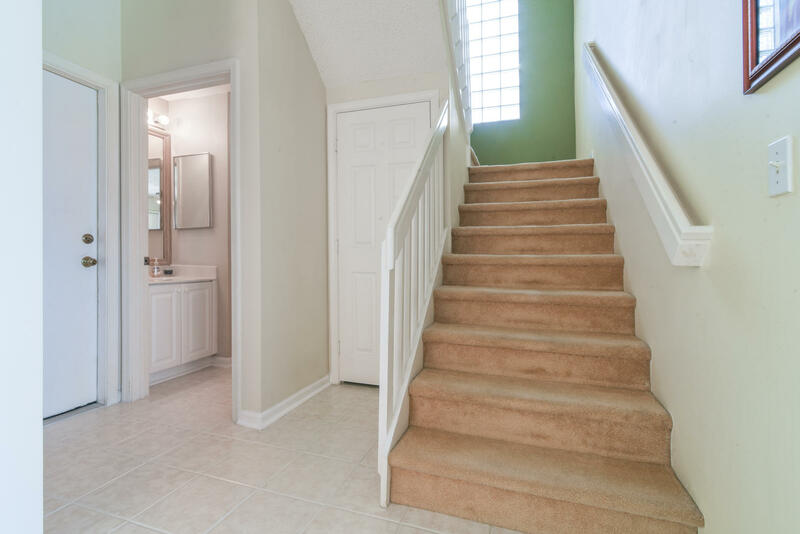 Inside storage under the stairs. 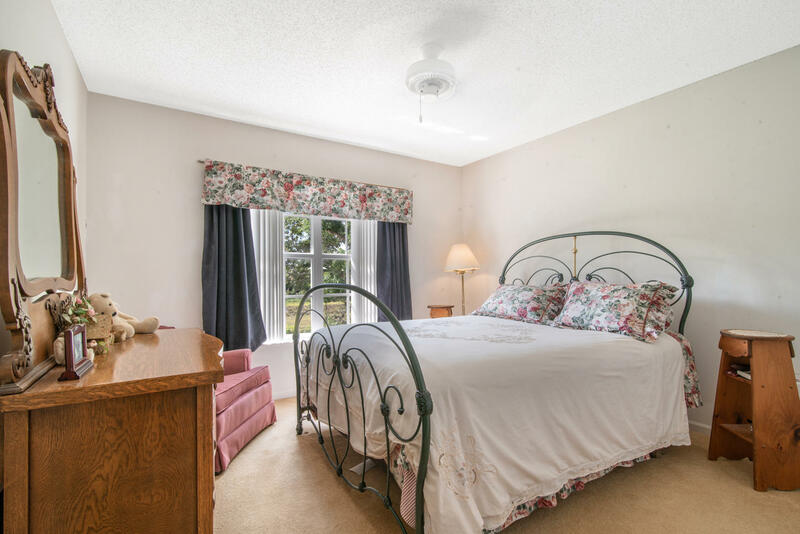 All of the bedrooms are upstairs. 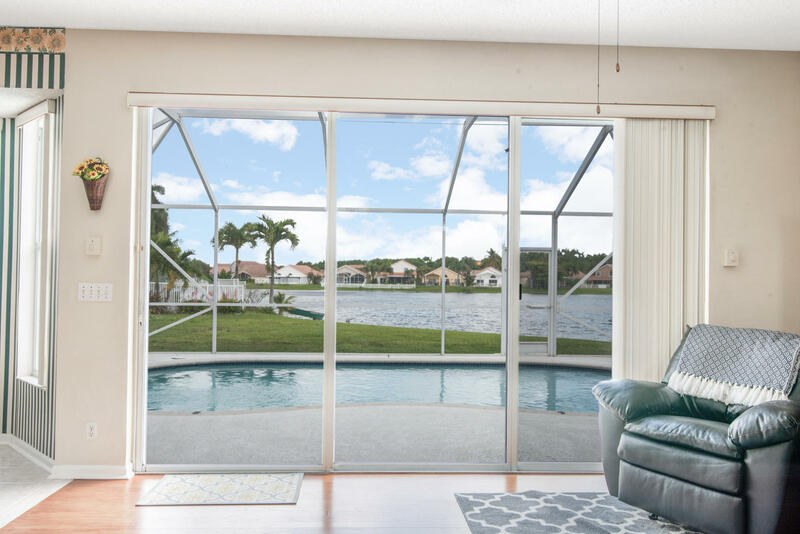 Be wowed by the view from the master bedroom. 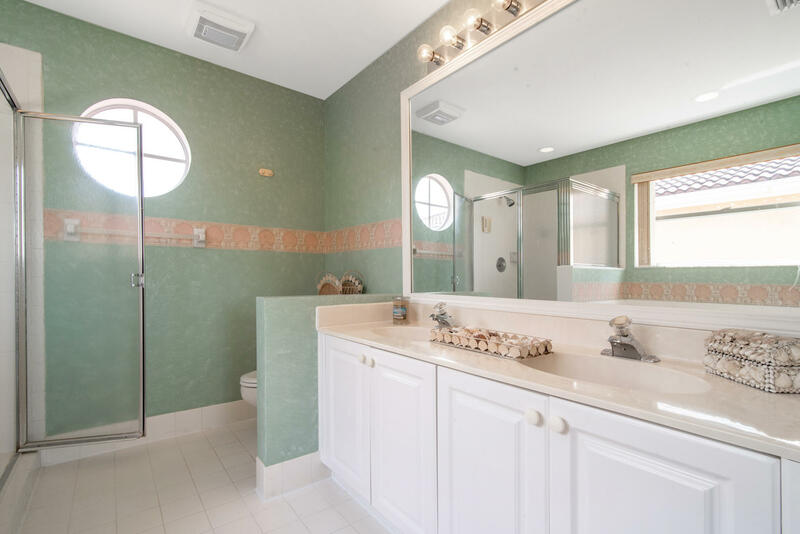 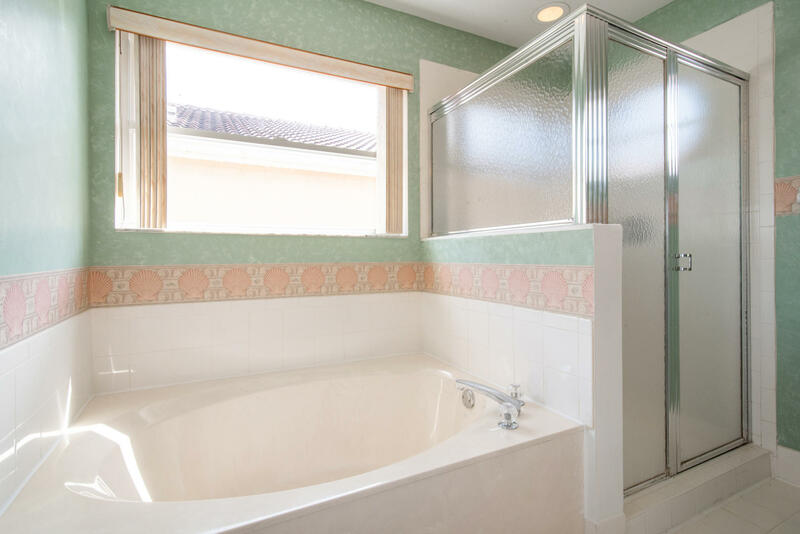 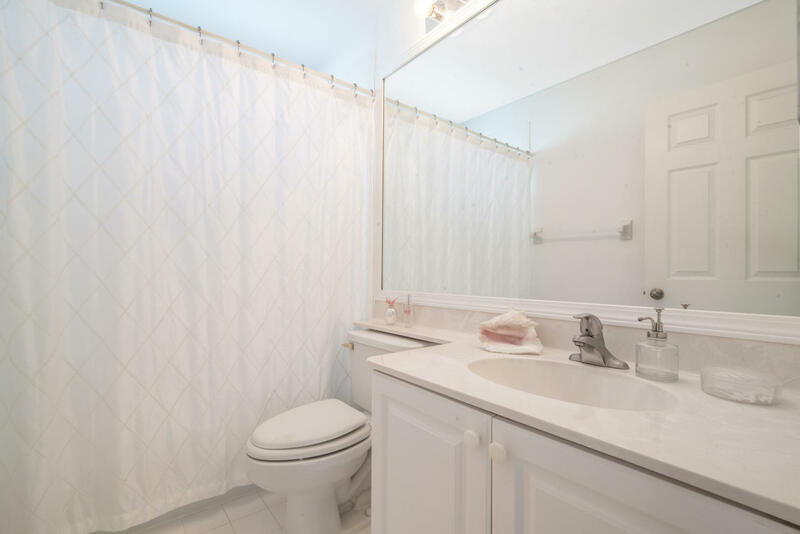 The master bathroom on suite offers double sinks and a separate garden tub and shower. 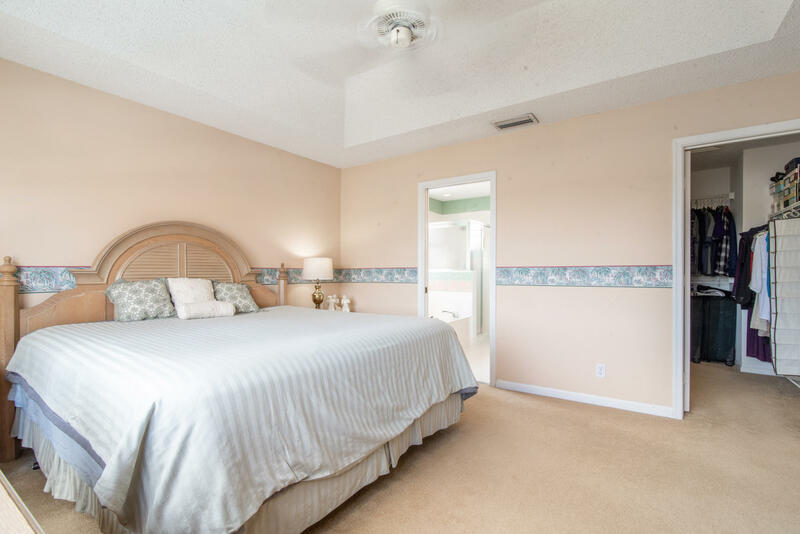 The second bedroom offers its own private full bathroom. 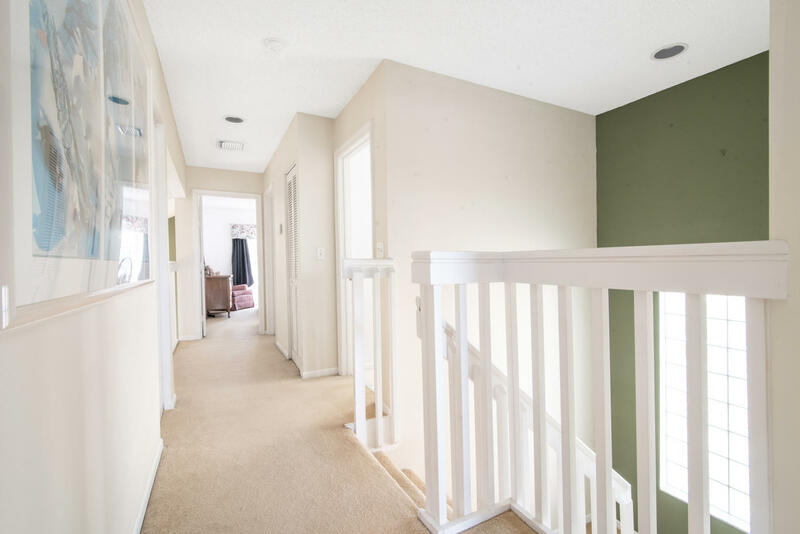 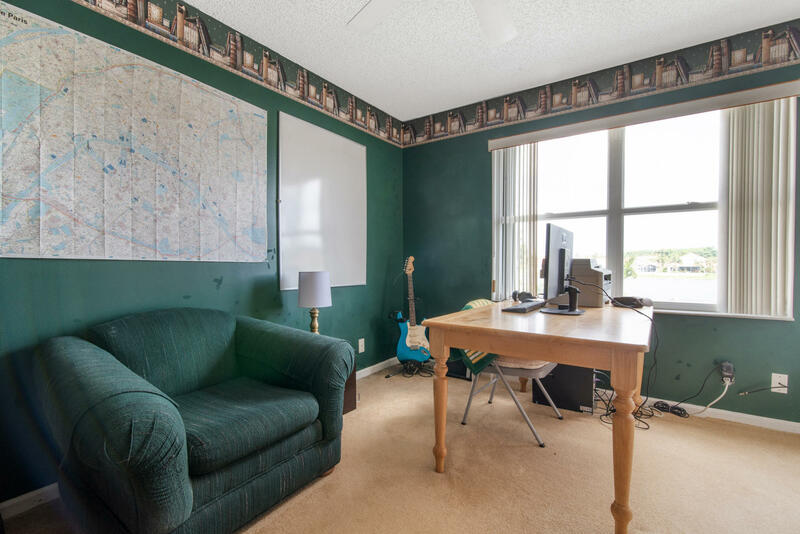 The third bedroom can be used an office that also has backyard and lake views. 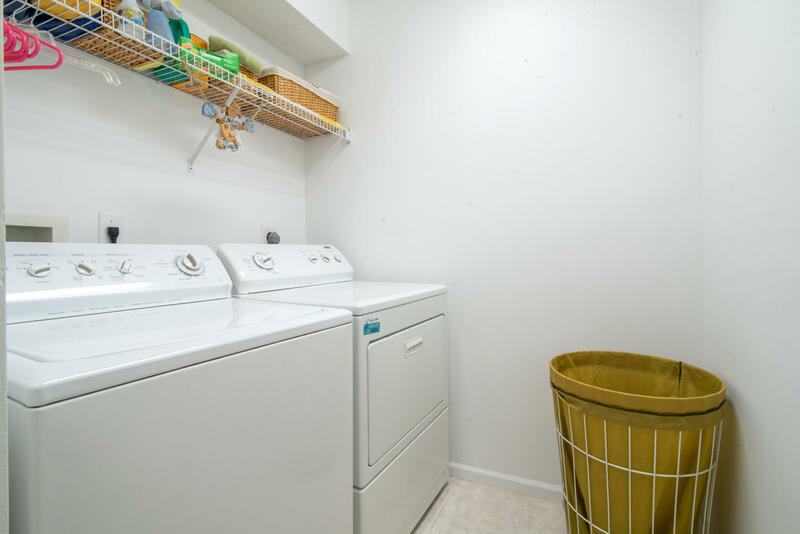 The laundry room is located upstairs. 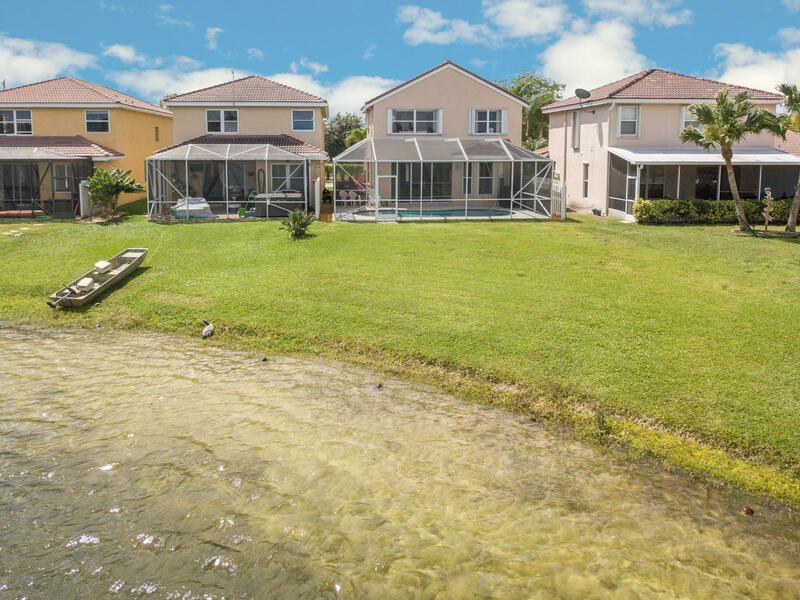 Lake access to fishing, boating, canoeing, and sailing. 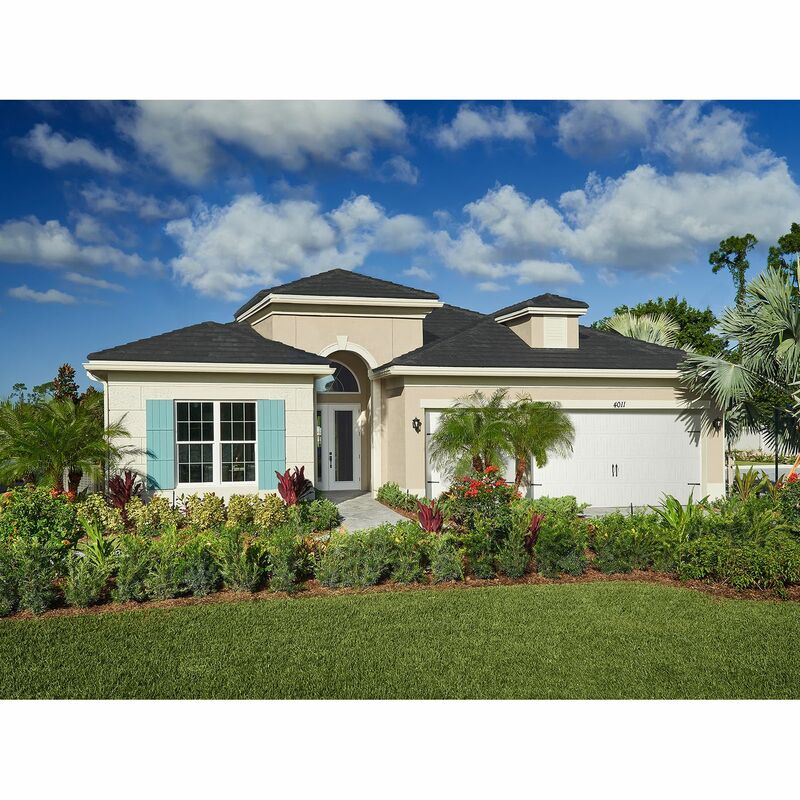 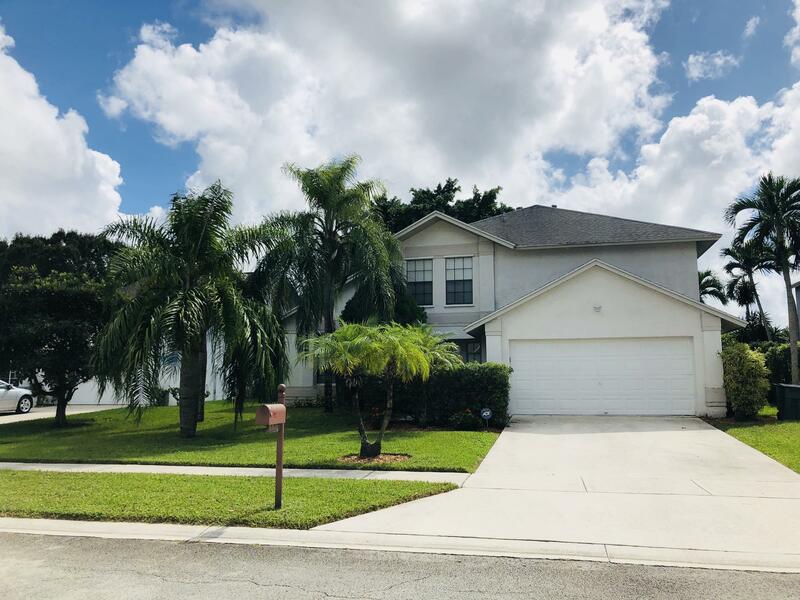 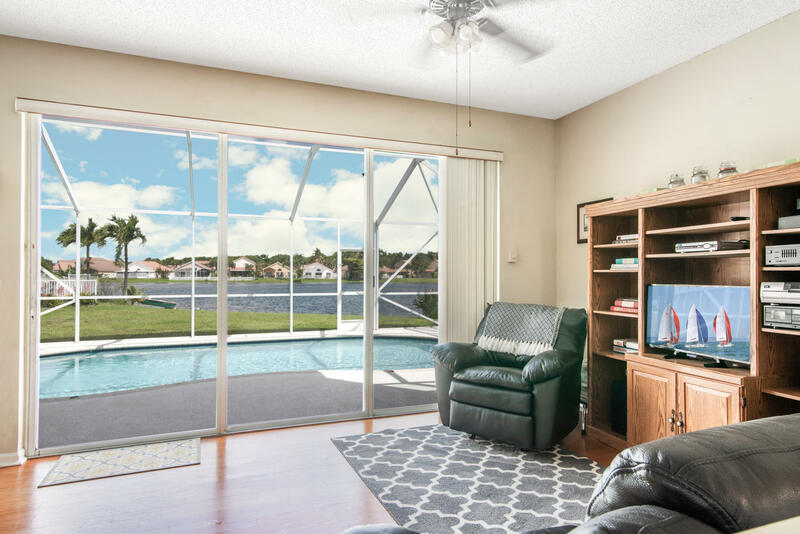 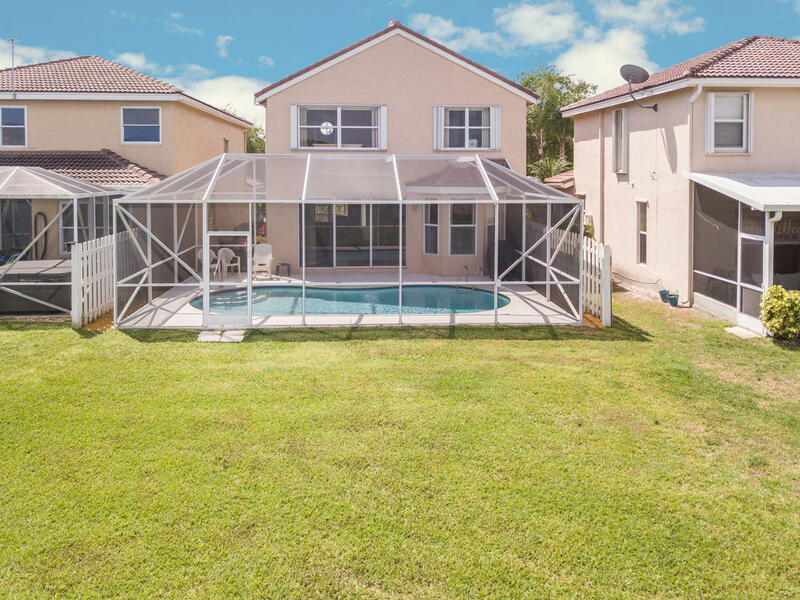 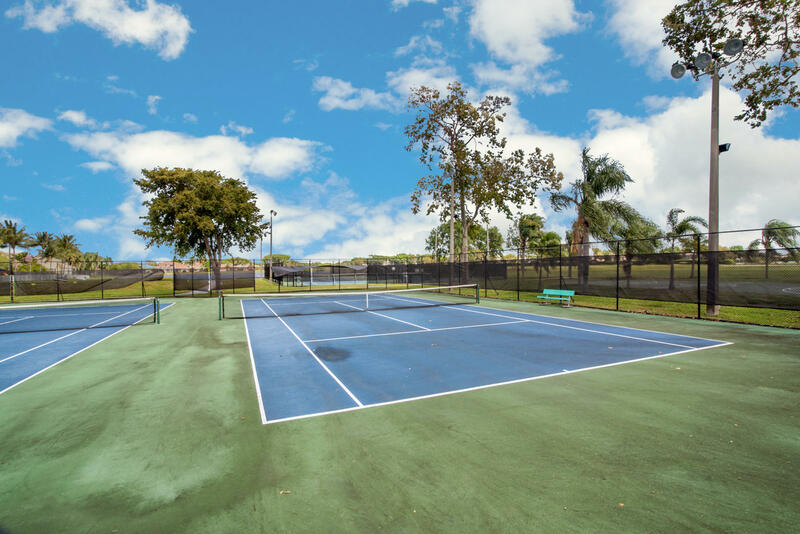 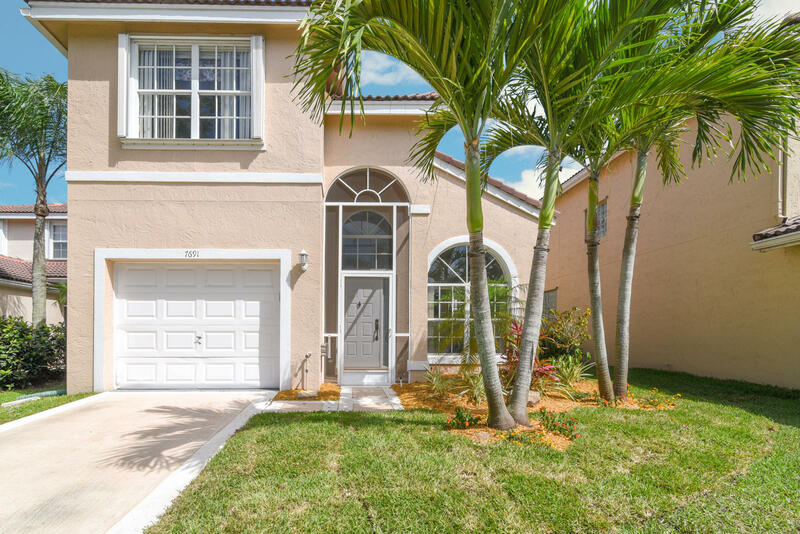 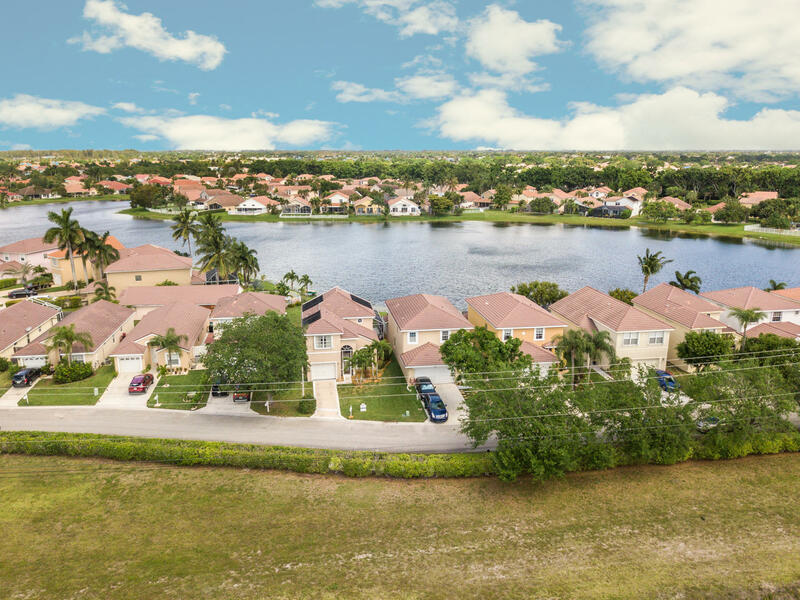 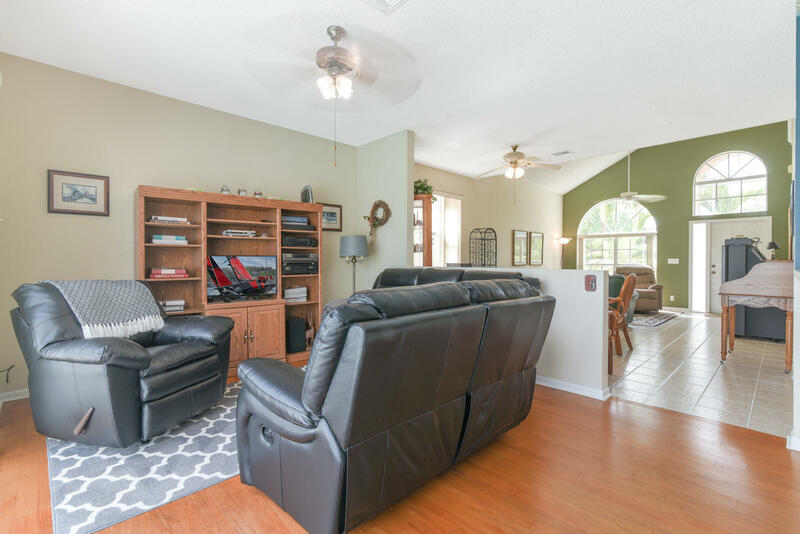 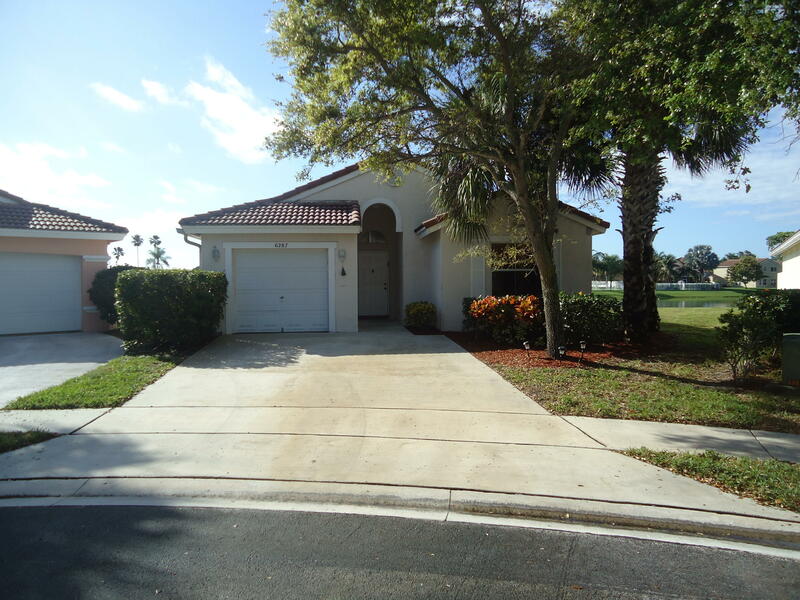 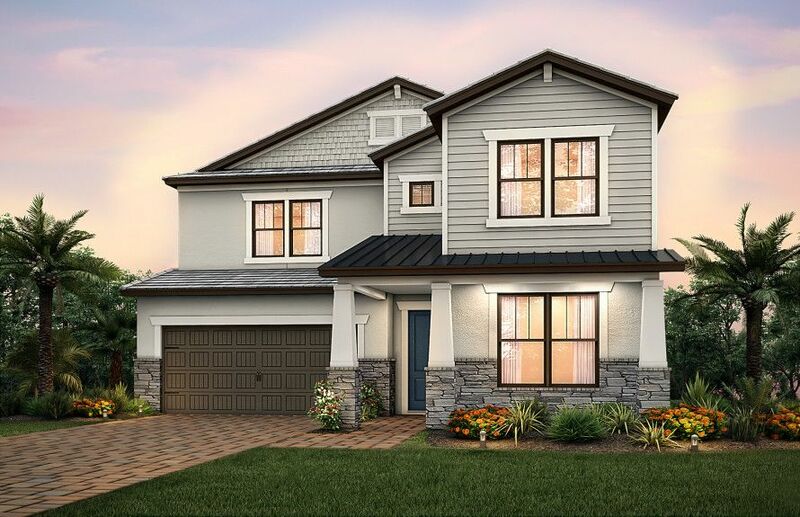 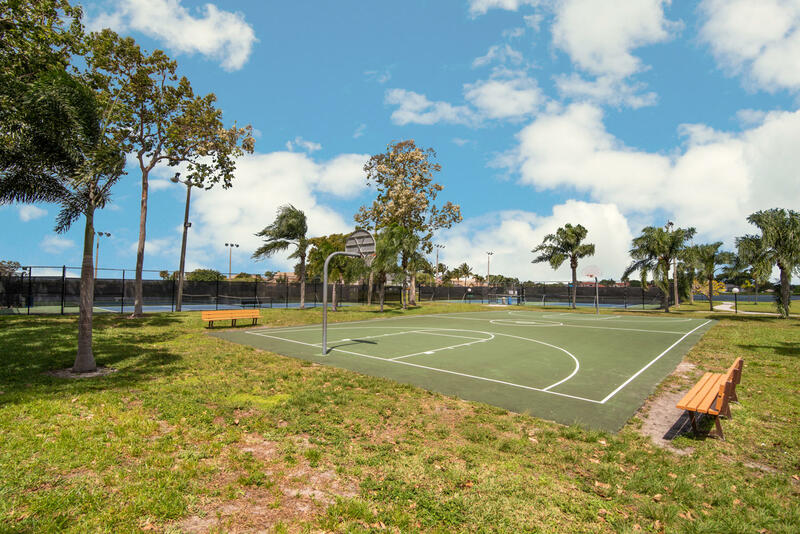 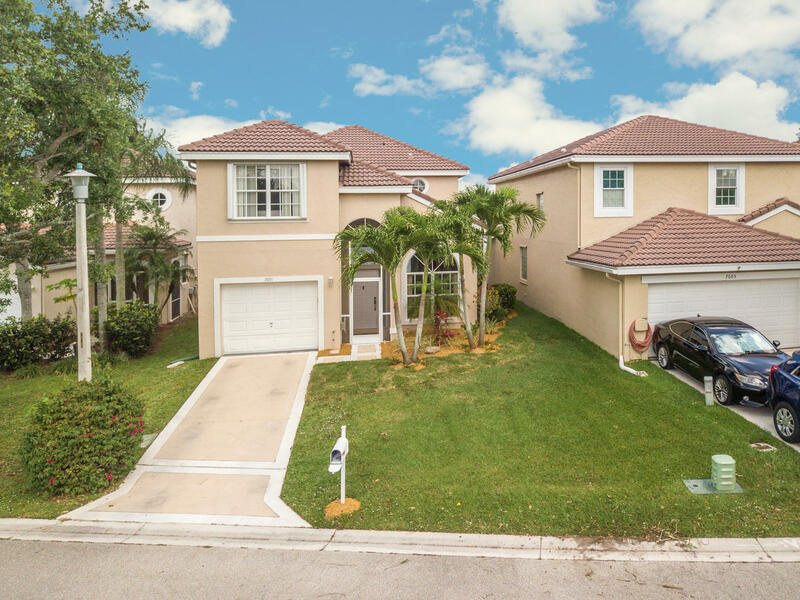 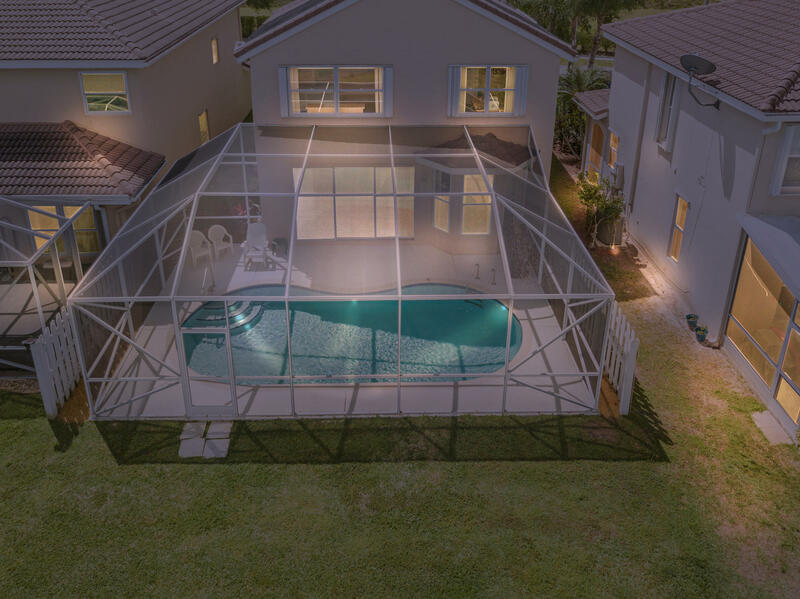 I would like more information about this property located at 7691 Springfield Lake Drive Lake Worth, FL 33467 MLS #RX-10517592. 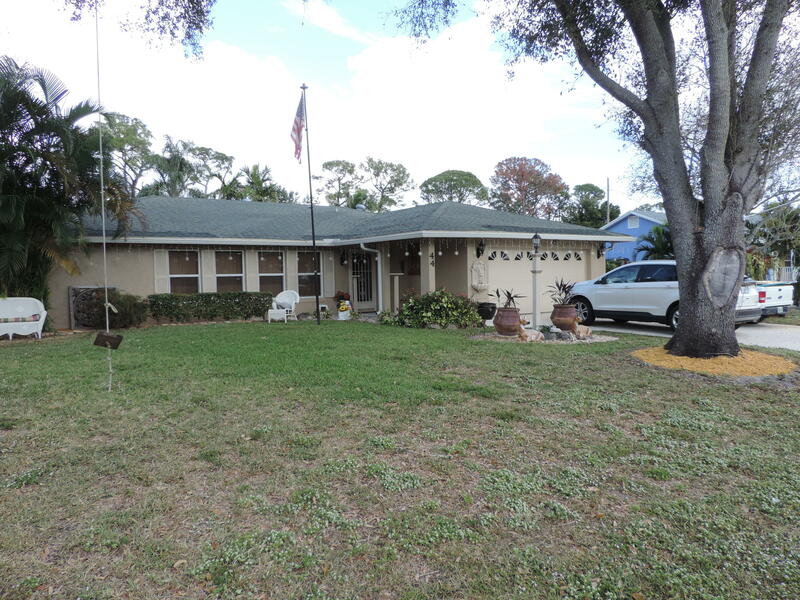 Hagen Ranch N of Le Chalet to Moultrie. 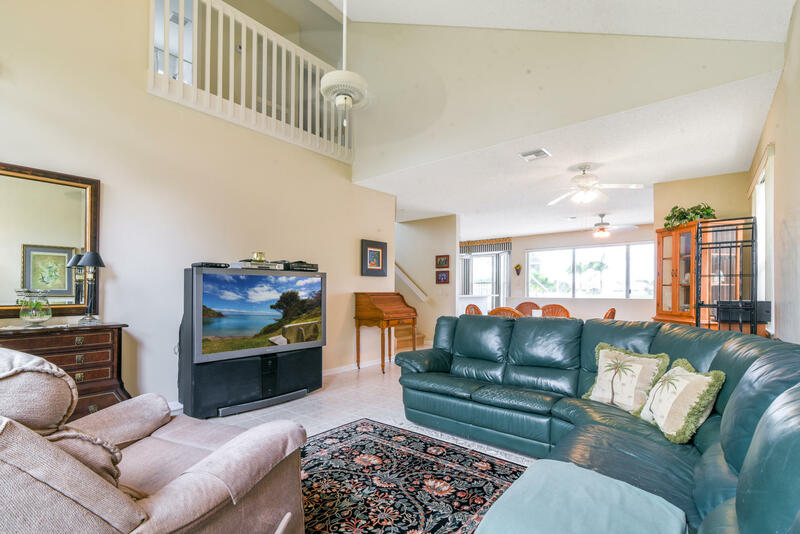 Head W on Moultrie then 1st L onto Springfield Lake Dr.